Re-named after James Hilton’s famous novel, Lost Horizon, China’s Shangri-La is a world away from the fictional earthly paradise Hilton once wrote about. In his cult classic published in 1931, Hilton described people whose “prevalent belief” was in “moderation.” But in this former logging town, part of the Dêqên Tibetan Autonomous Prefecture in Yunnan, moderation has been thrown out the window. Streets along the old quarter are crammed with shops selling cheap trinkets, some are quasi-Tibetan cultural items for the consumption of the mainly Han Chinese tourists. In other parts of town large hotels embrace the sky fashioned in quasi-Tibetan architectural style. Fancy new restaurants dish out Yak meat every night of the week. Traditionally Tibetans in this region raised Yaks for their milk, eating them mainly on special holidays and weddings. Shangri-La’s (formerly Zhongdian) economy was failing after the logging that caused flooding along the Yangtze River was banned. 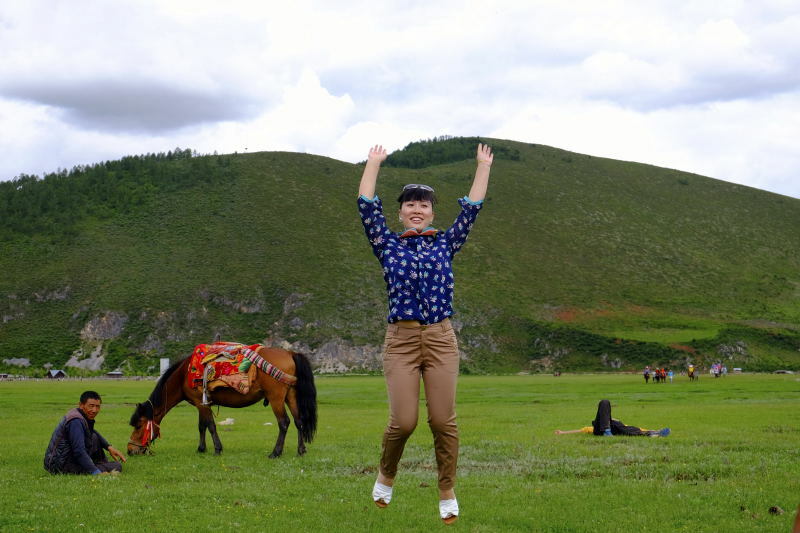 When the government came up with the name change scheme, clearly trying to replicate the massive economic success of tourist magnets Lijiang and Dali, whose old quarters have come to resemble ethnic Disneylands, Zhongdian stepped up to the plate, winning over competing towns. It is in the surrounding countryside, with impressive Himalayan foothills nearly encircling the town, where one could truly imagine the paradise Hilton vividly described. Historically, this part of Tibet was known as Kham, and its people the Khampas. 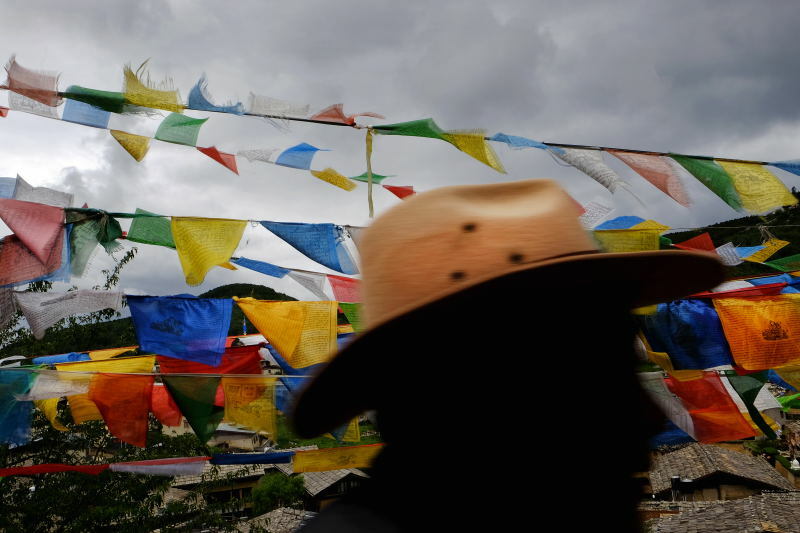 Since the 2008 uprising, Beijing has tightened the screws in the Tibet Autonomous Region. This has not prevented sporadic demonstrations from breaking out. Tragically at least 131 Tibetans have set themselves on fire since 2009 in protest against what they consider China’s heavy handed rule. A young tourist poses in rented Tibetan clothing in the old quarter of Shangri-La. 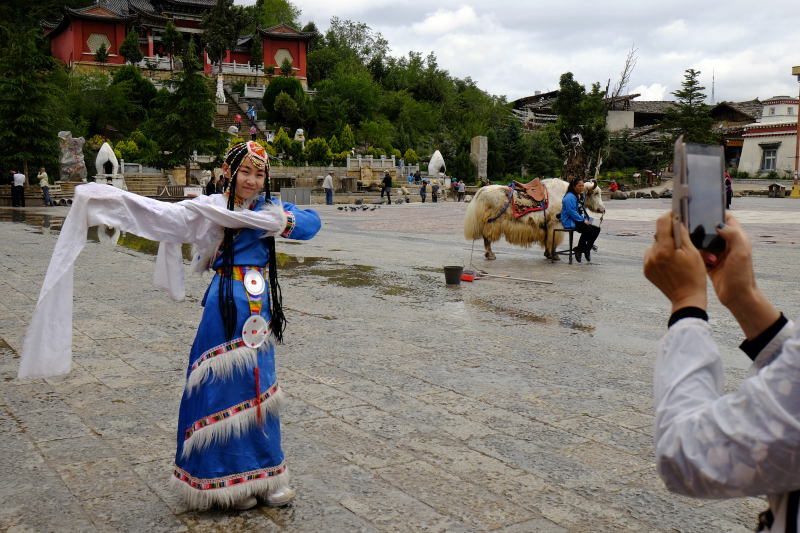 Most tourists visiting the town are Han Chinese, the dominant ethnic group in China. A Tibetan Buddhist prays at the Golden Temple in the old quarter of Shangri-La. 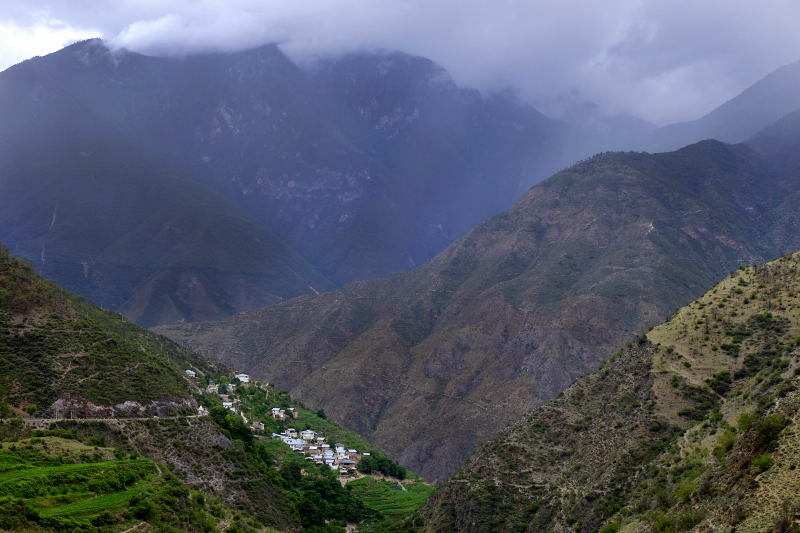 The town is split between Tibetan Buddhists and Han Chinese, the latter came mostly after the town's name was changed. 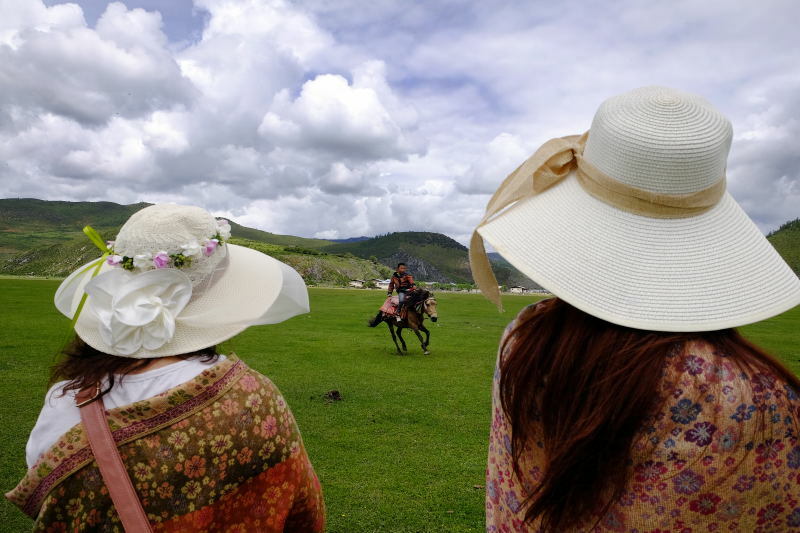 Tourists ride Tibetan ponies at Napa Lake in Shangri-La Country. A tourist gets creative during photos at Napa Lake in Shangri-La Country. 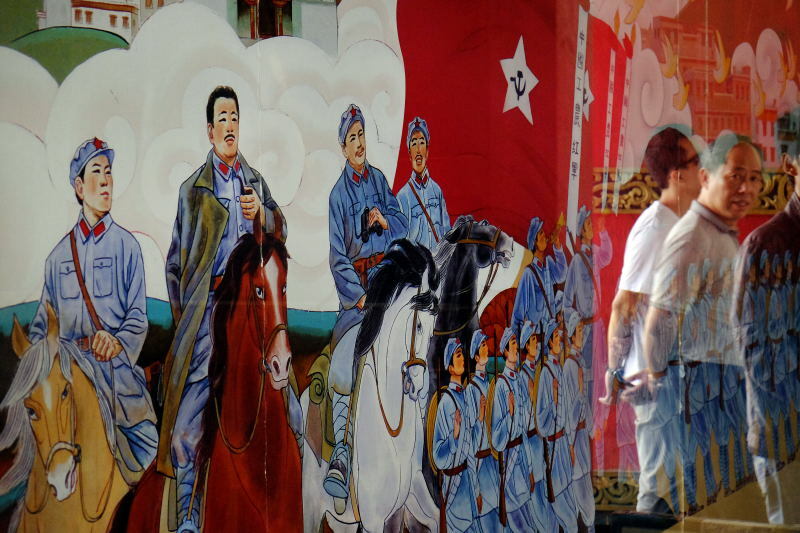 In the old quarter, a mural asserts the Communist Party's claim to have liberated the area now part of the Dêqên Tibetan Autonomous Prefecture. 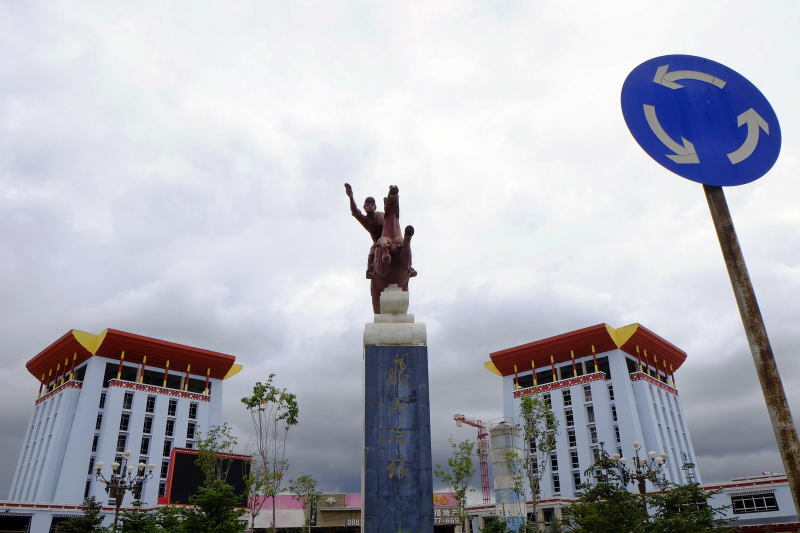 A statue of a Tibetan man on horseback created by the government purportedly depicts a messenger that was once sent to inform residents of the good news following the People's Liberation Army’s arrival in the area. 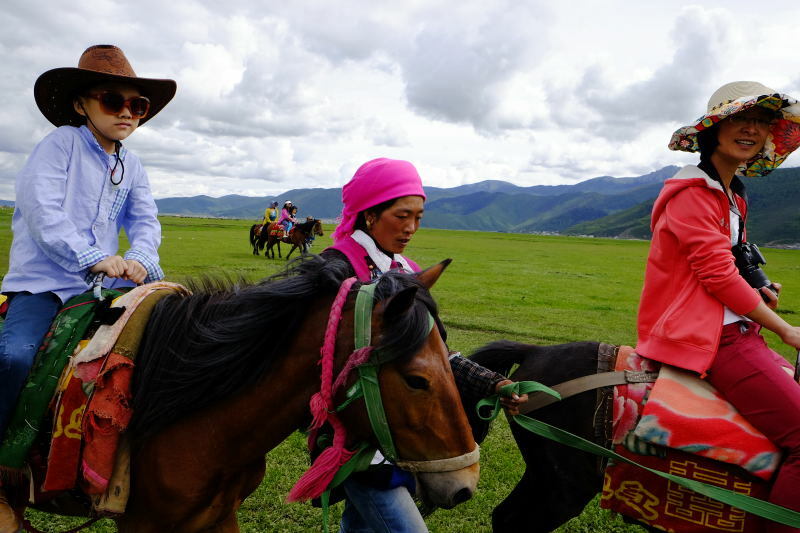 But a joke amongst some Tibetan locals goes that the horseman was actually warning them of their encroaching military forces. 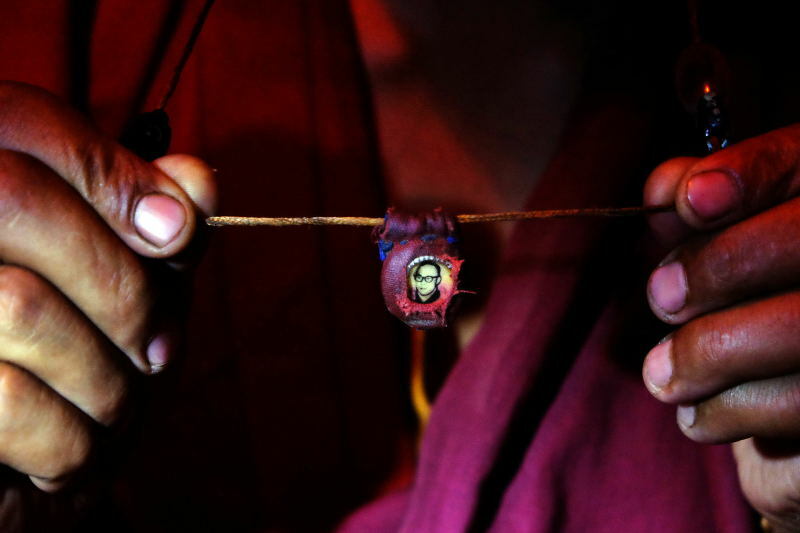 A Tibetan Buddhist monk in Shangri-La County holds a photo of a young Dali Lama on a necklace. The monk has been secretly wearing the necklace under his robes for over twenty-years. Although photos of the exiled Tibetan leader are now allowed in China they were banned for decades. Jaw dropping views of soaring mountain ranges can be found throughout Shangri-La country in an area valued as an ecological treasure. The Three Parallel Rivers of Yunnan, which is included in the county, was declared a World Heritage Site by UNESCO in 2001. 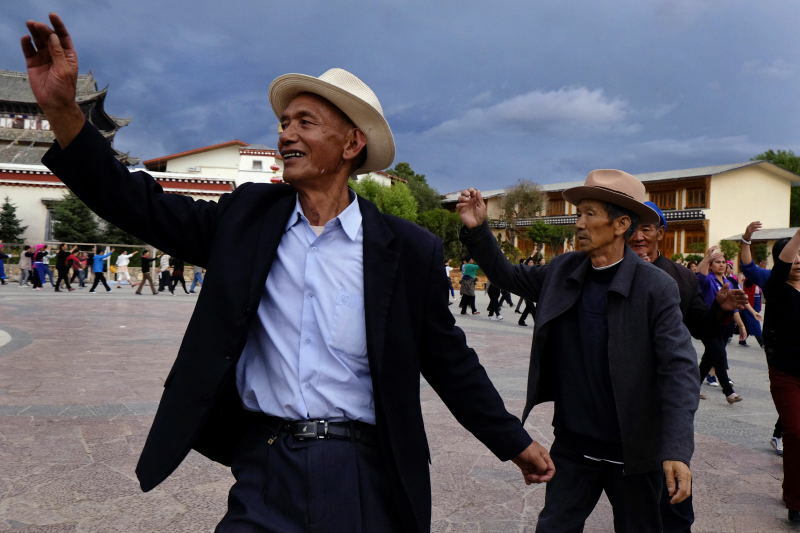 Tibetans and other ethnic groups gather for dancing every evening in the main square of the old quarter of Shangri-La. A young Tibetan (center) shows off to tourists at Napa Lake, about 5 miles from Shangri-La.